This happened to be my first event at #SMW Lagos 2014. It was great to see for the first time in Nigeria, an initiative taking a deep dive to make analysis of the local social media landscape. The report as presented by Alder Consulting did a good job in exploring all the major players, sectors, and stakeholders as well as measuring performance of persons and brands using social media as a tool of engagement. It was great to see representatives from entertainment, government, advocacy, business, and other spheres at the event. I did find myself taking a good amount of selfies at this year’s social media week. I guessed they got popular right after the 2013’s edition of #SMWLagos. It was fun taking selfies with people including Ikenna WhatsUpAfrica, Sim Shagaya, Blossom AdoptATweep, Saheed Adepoju, Lanre Aina, and many more (not to worry I’d be sharing my collection in my Photo News blog post). Perhaps what was most interesting was the positive reaction of excitement I got from people when I asked for a selfie with them. No doubt Lagos is in on the selfie culture, after all Justin Beiber did invest in a ‘Selfie App’. Over the years I have quickly gone from social media ‘maven’ to ‘expert’ and then ‘strategist’, but at Social Media Week 2014, I took up the title ‘student’. Thanks to the organizers for the many masterclass sessions where I got to learn a lot from blogging tips to the technical side of WordPress – security, optimization, and content. Other sessions I attended included First Bank Capital’s session on asset management and Nokia’s Build An App in collaboration with Mobile Monday Nigeria. Geek Alert! It was awesome seeing such an event pulled together and executed during the social media week. 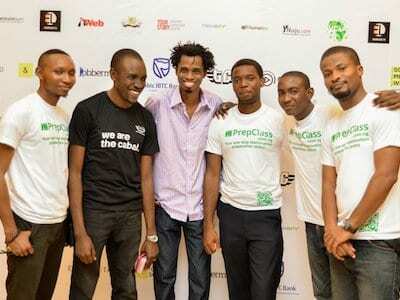 Kudos to TechCabal who brought 7 startups (out of over 90 applications) to pitch for the $20,000 grand prize. Away from the competition, it was good to see the pull the event had on the caliber of people in attendance from investors to media, and from tech enthusiast to other startup founders in the ecosystem. Perhaps having the event just after the #YTech100 event by YNaija that brought together Nigeria’s 100 most innovative people was just a good call as there was a gathering of people to take Nigeria to it’s next level of technology and innovation. It was a great networking event too over small chops and drinks. Lucky me. I was able to attend this year’s event and in comparison to 2013, it was so much better. My next post will be more of a comparison in details. However, in summary 2014 was packed, more fun, and of much better quality in terms of events, attendance, diversity, and execution in general. That said, I can not wait for 2015 and that seem to be line from a good amount of people that I met at the event. I foresee more inclusion and many more featured and independent events next year. Till then, keep being social.